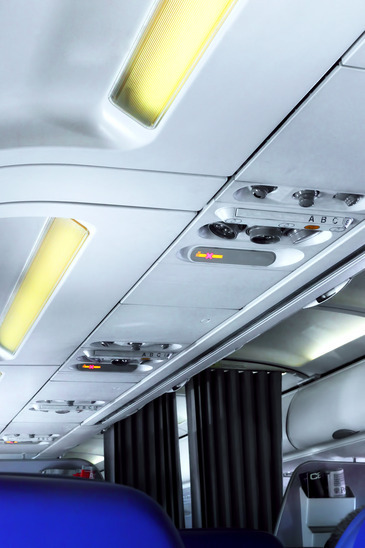 Superior Plastics creates plastic parts used in the aerospace industry through the process of injection molding. This process requires state-of-the-art machinery in addition to years of experience. Superior Plastics has both, with over 30 years building injection molds. Injection molding is the process of using a customized mold to create a plastic product. The mold forms molten malleable plastic into a desired shape. Usually polymer granules are melted down and injected into the mold during this process. The molten plastic can be formed to virtually any shape. This versatility provides the substance with the ability to be used in nearly any field. In order to create these versatile products, the molds from which they are made must first be customized and created. For this essential step of the process, Superior Plastics has the job covered. Injection molding is an integral part of creating parts used in aerospace engineering. Aerospace parts created through injection molding include turbine housings, turbine blades and pin maps used to mold carbon or glass fibers into sheet applications. Designers work closely with engineers to ensure the parts meet performance criteria. Molded parts used in the aerospace industry must be built with the greatest precision. The parts can only be made according to perfect specifications and accurate measurements. Through this attention to detail the products will be able to endure the demanding conditions required in aerospace applications. Aerospace plastic injection molding creates these parts, and many more, for commercial aircraft as well as military and defense engineering. In addition to building molds and creating parts through aerospace plastic injection molding techniques, Superior Plastics provides drop shipping and labeling services. For clients in the aerospace industry who already have a customer base, these additional options can make a world of difference. Superior Plastics can create a product in addition to shipping it under the company name. If a client does not have the resources to produce large quantities alone, Superior can do so, again adding the client’s company name. These measures help to reduce cost for the client, thereby increasing profits and available time. Superior Plastics had been in the business of molding since 1981, and has operated in the Dallas Fort Worth area since 1985. We have performed for some of the most recognizable companies around, including AT&T, Lockheed Martin, Hill Air Force Base, Lucent Technologies and Steelcase. We operate around key principles such as punctuality, quality and affordability. We work diligently to allow plenty of time to complete orders. We offer competitive prices, and provide an exceptional product each time. We are ISO9000 certified and AS9100 compliant, and our machines feature the latest in aerospace injection molding technology. Superior Plastics creates from the very first step to the final product, with the ability to create custom molding tools and the parts made from those molds. This offers a great advantage to clients who are caught In the middle of disputes between tool makers and molding companies. In addition to facilitating the process as much as possible, the company takes pride in its ability to communicate with the client through excellent customer service. The molding and tooling teams work in conjunction with clients to get the best product possible. To inquire about Superior’s plastic molding services in the Dallas & Fort Worth area, contact us today and let us know how we can help you.